Who will be crowned the Fastest EcoBoost Mustang or Ford? Fastest EcoBoost Mustang or Ford? 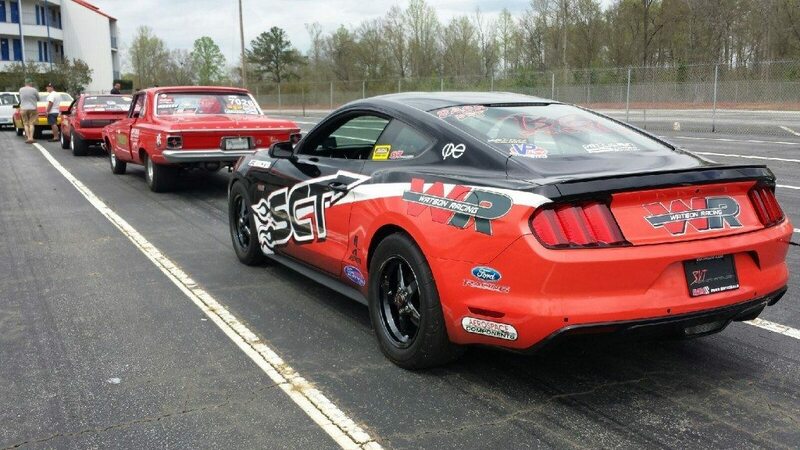 Brad Gusler in his 2015 WR/SCT Ecoboost Mustang will be looking to take the crown as fastest EcoBoost in the world! The last race for the 2015 NMRA season will take place in Bowling Green at the Beech Bend Raceway and will include an EcoBoost Showdown. Want to know who has the baddest & fastest EcoBoost Mustang or Ford on the planet? 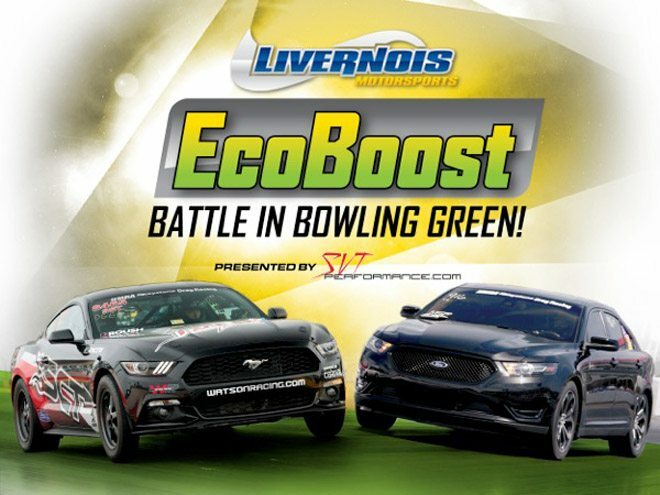 This will be the first ever EcoBoost Battle in Bowling Green, a class exclusively designed for Ford’s EcoBoost-powered vehicles! With Ford EcoBoost engines showing their prowess in professional endurance racing, and the performance aftermarket expanding their product offerings, it’s time for Ford’s most popular engine platform to make its mark in grassroots drag racing. EcoBoost Battle is open to all EcoBoost powered vehicles including Fiesta ST, Focus ST, Taurus, Explorer, F-150, Mustang, and all other EcoBoost powered Ford vehicles. Many aftermarket modifications are permitted and vehicles must meet all NHRA safety regulations. The class will race heads-up on a .400 tree (sportsman ladder). Eco Boost Battle Class Rules Click Here! No Membership Required to Participate!